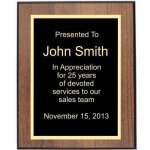 Royal Walnut Plaques offer a high quality plaque at a competitive price. 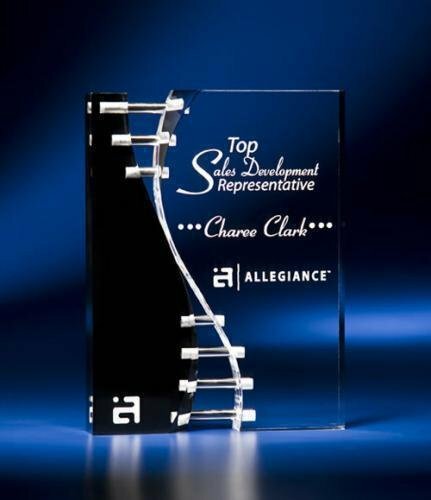 Features a beveled black edge. Available in eight sizes. Affordable and elegant. 3/4" thick wave design acrylic upright on an acrylic base. Jade only. Gift boxes supplied. 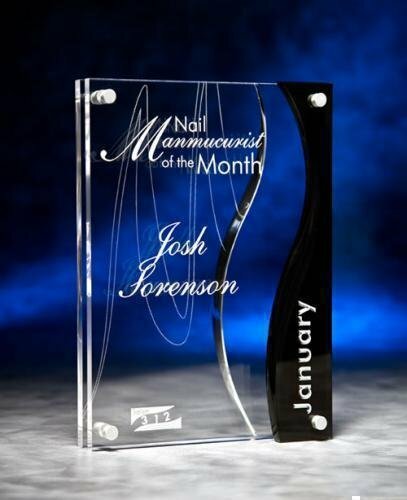 Stunning wave crevice clear and black acrylic award connected with clear acrylic dowels. 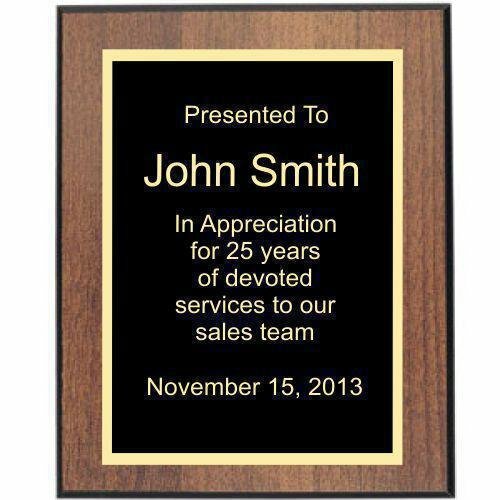 Full color imprinting available as an optional imprinting method for this acrylic award on the clear acrylic portion. 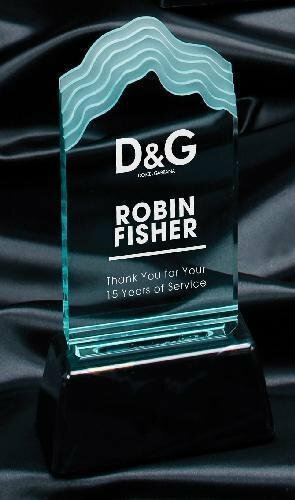 Clear and black acrylic award with a wave cutout. Designed with outstanding care an craftsmanship. 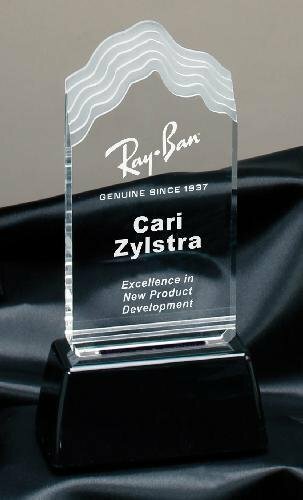 Full color imprinting on the clear portion of the acrylic piece available as an optional imprinting method for this acrylic award.